Please take note that Lovera.com.my is no longer using direct bank transfer as a payment method. The below guide for shopping is still applicable except for the payment step. We are now using Billplz payment gateway for an easier transaction. Click Shop from the menu. Click on the product to go to the product page or click the Add to Cart button. 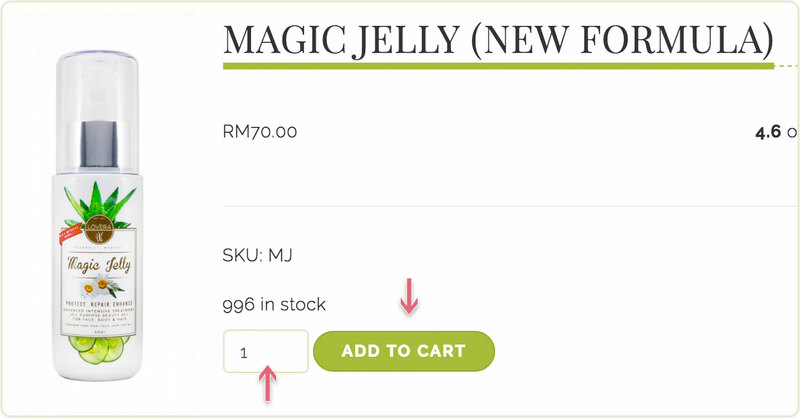 You will need to refresh the page to see your cart (on the right) updated with your new order. 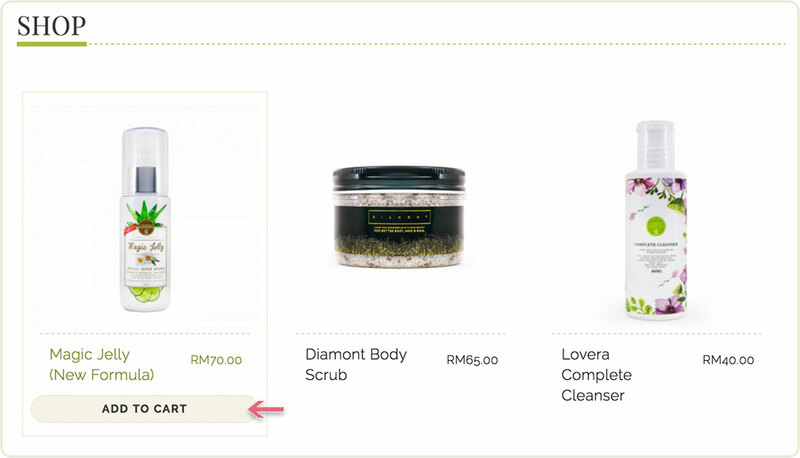 On the product page, enter the quantity you wish to buy and click Add to Cart. A notification should appear. You can click View Cart to view your updated cart. 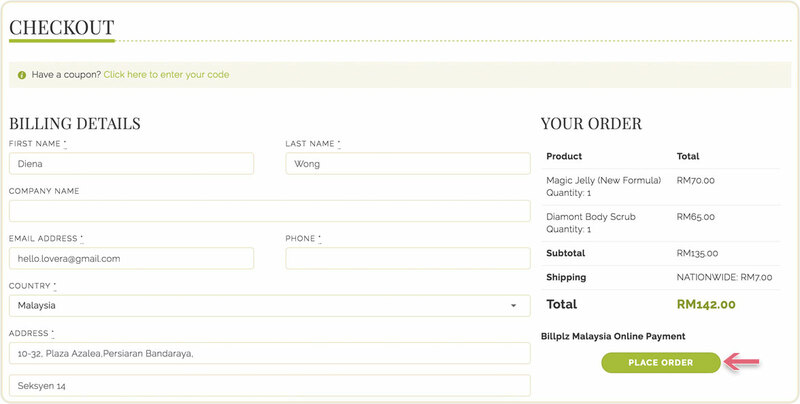 Here you can edit your cart before proceeding to checkout. You can remove or add more items. The total for your order is displayed on the right. Click Place Order to proceed with the payment. You will be redirected to a payment gateway to make your payment via online banking. Click Pay to continue with your order. Upon confirmation, you will receive an email or SMS to notify you on successful payment and we will process your order. Take note that we do not require proof of purchase from your side. Can you do cod? I’m staying in Shah Alam. Hi dear, u can self-collect product at our HQ in setia alam. How to send receipt on gmail ? Apa maksud ” Customer matched zone “FREE SHIPPING” ”? Cane nak apply? Hi.. can you cod around kl?